You probably already know the various reasons for using the present simple and continuous tenses: to talk about facts or habits (present simple), to describe temporary situations or what is happening at the time of speaking (present continuous) or to talk about future timetables or schedules (present simple). However, one very important reason for using these tenses is to describe the events in a book or film. This is a topic that sometimes appears in Part 2 so here’s a chance to practise. 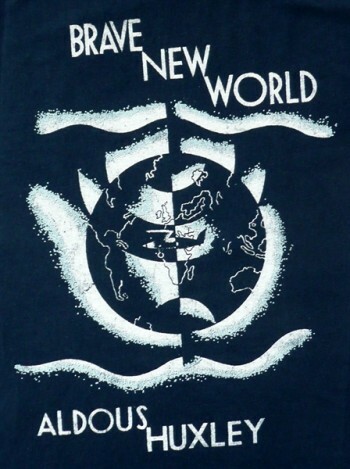 I really enjoyed reading Aldous Huxley’s ‘Brave New World’ and one scene in particular comes to mind. Two of the characters, Linda and her son John, are taken from the place where they are living, to London. This is the ‘brave new world’ and ideals of love, and family life are despised. Because Linda looks old and unattractive she is given a drug called ‘soma’ in the hope that she will die. Eventually, John gets a phone call and is told his mum is dying in hospital. He rushes to her bedside and sits there watching over her. He remembers how she used to be when she was younger but a group of children spoil the moment when they start making fun of Linda. This event is really important because it shows the difference between the old and the new world. Even the nurse can’t understand why John is unhappy when his mum dies. The events have been described as if they are happening ‘now’. There are lots of examples of present tenses. The simple present appears most frequently, but there are also examples of the present simple passive such as ‘are taken’, ‘is given’ and ‘is ‘told’. On two occasions the past tense is used to signify a change in time period, ‘used to be’ and ‘when she was younger’. We also have a reference to the future – ‘will die’. This is an authentic, natural way to describe events in a book or film in English. Making your long turn like this will make a positive impression on the examiner if such a question appears in the exam. Next Step? Find out what the typical grammar mistakes are that IELTS candidates tend to make and practise some of these areas. Sign up to IELTS Speaking: Advanced for grammar tests and a whole lot more! I really enjoy such a kind of description ,too. It helps us to develop our reading knowledge. I love to read this article so much.It correct my sentences. Generally, it is clear.I would like to read.